You can have each and every copy of Pitchcare - The Magazine delivered direct to your door. The independent, comprehensive, bi-monthly magazine for everyone involved in working with turf. From grass roots to international stadia, its focus is individuals, teams and the surfaces they maintain. 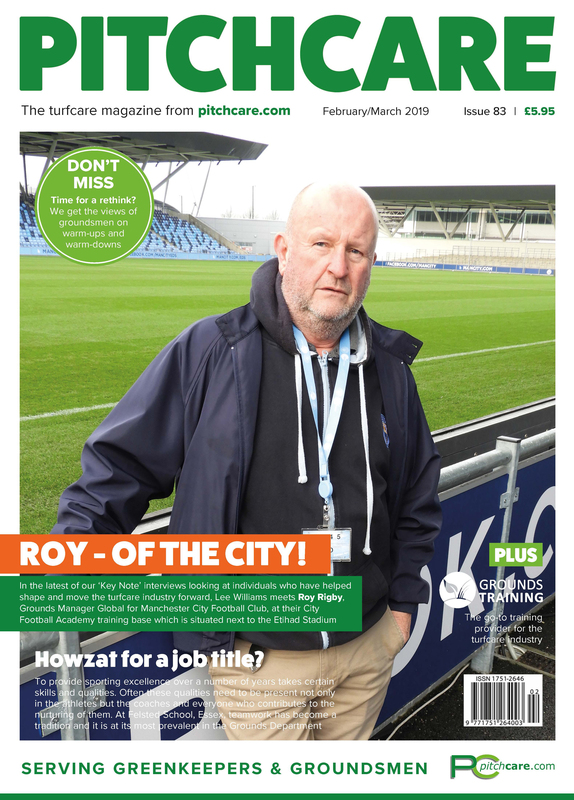 Covering the best stories from groundsmen and greenkeepers at home and abroad, there's something for everyone. Back issues are available to purchase from the main Pitchcare shop. After clicking "Send Order" below, you will be prompted to input your card details. None of your card details are stored by Pitchcare. To make a credit card payment over the phone, please call 01902 440250. Alternatively you will be called during UK office hours at the next available opportunity. Payment can be made on account, if you have previously setup an account with us. To open an account click here (opens in a new window). You must also be logged in to Pitchcare as the account user to make payment on an account. Alternatively, call 01902 440250 to arrange account payment. Your order will be processed once the cheque has cleared. Would you like to receive information, advice and exclusive promotional offers relating to turfcare from us? Please select your relevant area of interest below. Your details will never be passed to ANY third party. I am interested in sports turf / professional turfcare. I would like to become a member of the Pitchcare website (for FREE!). I am interested in lawncare advice and special offers.